Jyothika ::: Her Name Means "Light"
We recently got a letter from World Vision telling us that Moretlo, one of the children we sponsor, was leaving the program. In the 15 years we’ve been sponsoring children, this has happened several times. Sponsored children and their families often move to other communities or countries. They may grow old enough to leave the program and support themselves. Other times World Vision has helped a community achieve their goals to be self-sufficient and then move support to more needy communities. We were bummed to see Moretlo move because Pam and I were able to meet her and spend some time with her on our first trip to Africa. The World Vision office in Lesotho notified our US office that Moretlo and her family moved away from the community where World Vision sponsorship assistance is provided. As a result, she will no longer be continuing in our sponsorship program. Please continue to pray for Moretlo. Because of you, she and her family have been blessed. Your support was a gift of hope that will be long remembered. Our family has committed to sponsor 5 children through World Vision. Pam and I have 5 kids and believe that sponsoring one child in honor of each of our kids is a good reminder for all of us to pray and connect with someone who’s needs are bigger than our own. So, our family sat down and looked through about 50 picture folders to try and find 1 child, THE child we should sponsor. We looked at faces….names….birthday’s….read their stories….and prayed. This is a tough thing to do because you kind of feel that by choosing one, you’re saying ‘no’ to the others. It’s also a challenging process when there are several people weighing in on the decision and we’re all passionate about our reasons for being drawn do different children and moved by their needs. 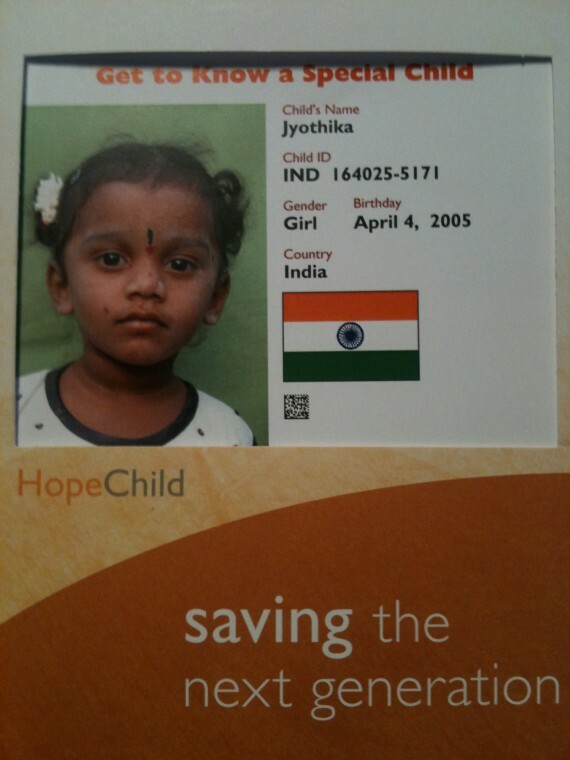 Through some deliberation and giving ourselves some time to pray about it, our family has decided to sponsor a precious little girl from India, Jyothika. Jyothika shares a birthday with our oldest daughter. She lives with her parents and 1 brother. Her dad is an agriculture laborer and despite his efforts it is difficult to meet the family’s needs. Jyothika just turned 6 years old but isn’t in school yet. She likes to play ball games and helps at home by running errands. The community where Jyothika and here family live is severely affected by the HIV/AIDS crisis. Our sponsorship will help Jyothika, and her family, with some of their most basic needs (food, clean water, schooling) and help minimize the impact of AIDS in her community through tangible prevention and care programs. Most importantly, we know that World Vision will be introducing her to God’s unconditional love as they serve in her community. We are so excited to welcome Jyothika into our hearts and lives. I know that we are making a huge difference in Jyothika’s life through our support, but we also are impacted here in our home. I love being a sponsor and find it so incredibly rewarding as I get reports on how our sponsored kids are doing. It’s so cool to get pictures each year and watch these beautiful children of God grow and become the people they were created to be. If you would like to get more information on sponsoring your own child, CLICK HERE. We adopted a boy and a girl from World Vision just 2.5 years ago. 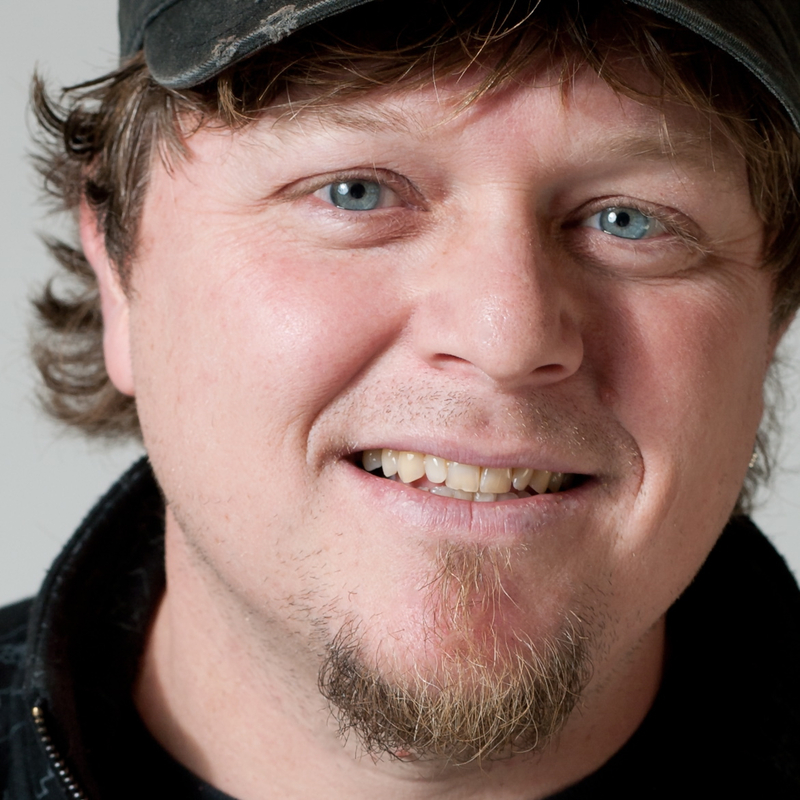 Thanks for being a champion on stage and off. I sure hope many see the joy and impact this can have. Thanks for the encouragement Rich. Glad to hear you’re finding the joys of sponsorship. Enjoy your trip to Africa man!